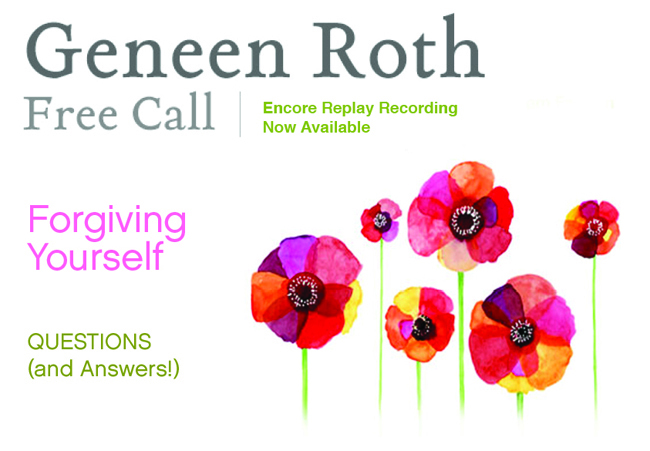 On Monday, February 1st, during a live free call, Geneen talked about the sweet mystery of forgiveness and guided us through a powerful meditation. It was a gorgeous hour and we invite you to listen to a recording of this free call streaming online. Register for Geneen's Free Call series below. But don't wait! This recording is only available through Sunday, February 7th.